Key West Residential Property Management offers a complete package of services to owners such as, Payment of Bills (Including mortgage, insurance, HOA Dues/Fees, Property Tax, utilities), direct deposit into the owners account, monthly statements, annual statements for ease of tax accounting, marketing your property for maximum exposure, 24/7 emergency availability and peace of mind. We have the largest network of vendors that we have built relationships with over the years. We hold the vendors accountable to ensure our owners are never overcharged for repairs and maintenance. We offer a tenant portal which allows for the convenience of online access, 24 hours a day, seven days a week. With this portal, your tenants will be able to easily renew their lease, submit maintenance requests, and make rent payments. Our property management software allows us to easily screen potential tenants through the application process. We also offer tenants a hassle free way to insure their security deposit through a surety bond. We inspect, photograph, and/or video your property prior to tenant move in to make us best equipped in the event of damages/repairs. If you have a long term property, we have tenants for you. Key West Residential Property Management advertises in local newspapers, as well as with local businesses such as hospitals, military offices, law enforcement offices, and others. This helps us to find the best tenants for your property. With our property management software, we are also able to utilize dozens of advertising sites which post your property on a national scale. We have found that we are THE only property management firm in Key West listed on several of these sites. This means that we are the only property management company that most potential tenants are finding. In Key West we are seeing a trend of homes being sold and renovated but not being put on the market for rent. What this means is there is a shortage of long term properties available for rent. This means you have an advantage in today's market to have zero vacancy and higher rent. Now is the time to make money on your investment. We are actively looking to add new properties no matter the size of your investment portfolio. Upon attending several Real Estate and Property Management geared conventions each year, we have learned that we are the only property management company in Key West that is utilizing the available marketing tools. Meaning we have an advantage at renting your property. We are the pioneers in this industry in Key West and we are constantly finding new ways to keep our company ahead of the competition. Whether your home was purchased as a homestead or as an investment, Key West Residential Property Management has 20 years of first-hand knowledge and the experience to manage your investment. Our main focus is pairing quality tenants with quality homes. We strive to maintain our tenants’ happiness as well as our owners’ but never one at the other’s expense. You nor your property will get lost in the midst of a large company with dozens of agents. Your investment will get the attention it deserves. No matter if you are around the corner or on the other side of the globe, your property will be maintained with the utmost care it demands. As an active member of NARPM® (National Association of Residential Property Managers), NAR (The National Association of REALTORS®) and over 20 years of property management experience you will have peace of mind that we have the knowledge and education through these associations to comply with federal, state and local laws. NARPM® is the nation's only professional organization dedicated exclusively to enhancing the professionalism and ethics of the residential property management industry. "Jaime is a great property manager. I have worked with her for several years now and I have multiple properties she manages. She takes good care of my property as well as maximizes its income potential. She has also helped me with purchasing a property and the transaction for this was carried out smoothly. " Key West is a city in Monroe County, Florida, United States. The city encompasses the island of Key West, the part of Stock Island north of U.S. 1 (the Overseas Highway) (east), Sigsbee Park (north, originally known as Dredgers Key), Fleming Key (north), and Sunset Key (west, originally known as Tank Island). Both Fleming Key and Sigsbee Park are part of Naval Air Station Key West and are inaccessible by civilians. Key West is the county seat of Monroe County. 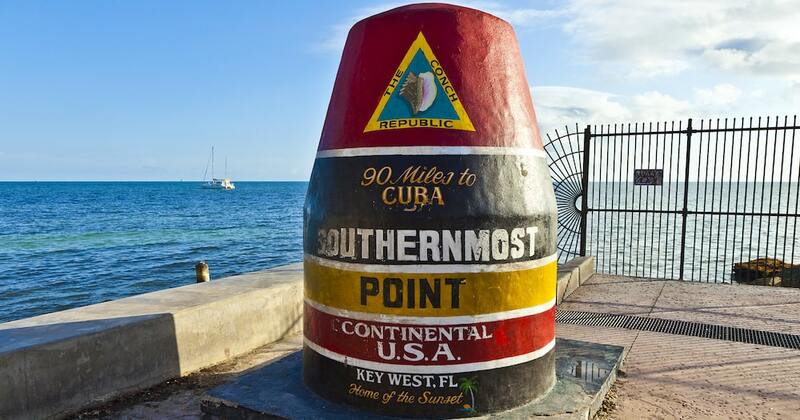 Key West is the southernmost city in the Continental United States. It is also the southern terminus of U.S. 1, State Road A1A, the East Coast Greenway and, before 1935, the Florida East Coast Railway.